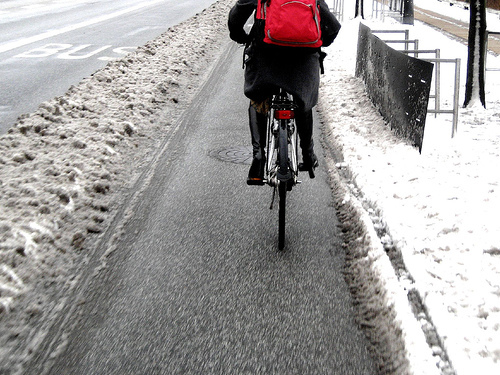 I am pleased to report that the numbness enduced by my dramatic switch of homes is starting to thaw at something like the same pace as the snow and ice are receding from the lakes and bicycle lanes of Copenhagen. Before leaving Zambia, I was flicking through one of those books of national statistics and quickly realized that by just about any measure you cared to pick (from child mortality to GDP per capita) Denmark rated amongst the top 10 countries in the world and Zambia often sadly amongst the bottom. If I was looking for extreme culture shock, then I probably couldn’t have organized a more dramatic transition. As it turns out, I probably couldn’t have found a more warm and caring environment into which to return to. I was lucky enough to have the possibility to return to a number of places around the world and despite no previous connections to the Nordic region, I have a strong feeling that I have chosen my new home wisely. My hypothesis was that the Nordic countries (who are amongst the few in the world to honour their commitment to give 0.7% of their GDP in aid and development) would be home to more than a few folk who take an interest in the world around them and plight of those less fortunate than they. These suspicions have been pleasantly affirmed and already I have enjoyed a remarkable number of conversations with people who hold a detailed understanding of the challenges that face Africa and what it might take to move to a more equitable global world. That distant nations who enjoy such a high quality of life should take this level of interest is indeed life affirming but perhaps also emblematic of the great mix of pragmatism and strong family values that seem to be knitted into the cultural fabric here. Even if I am in a new country, I guess I am still returning to an old family of sorts – my old employers. I happily acknowledge that I have many great friends within the organization and feel very comfortable within its culture. Even though I am moving to a new geography, I recognize many of the same values that I have appreciated in other parts of the organization and have rapidly been made to feel at home particularly in my base in Copenhagen but also in our offices in Helsinki, Oslo and Stockholm. The final and perhaps most interesting ingredient to this ‘pain free’ transition was a single trip I took back to Europe during the middle of last year. It was one that I had been a little reluctant to take, breaking as it did my year of ‘full immersion’ but it was for an extremely good reason and now I am incredibly grateful that I did. In those short 7 days I gained a valuable insight into just how far apart our two realities are (quite honestly I may as well have taken a spaceship to the moon as fly back on good old British Airways). The scale of disparity was and is just beyond description … for now, give me a few weeks and I will do my best to come back to the topic! So my most useful resolution for coping has been to not even try to draw any kind of parallels between these two universes. It seems pointless for now to embark on an exercise that would be at best painful and at worst a surefire route to madness, they simply don’t operate on the same astral plane. A friend asked me, “how many times have you had the ‘do you know what 1 euro buys in Africa’ discussion?” to which I had to remind her that 1 euro doesn’t buy anything in Copenhagen and having the same discussion about what 10 euro’s might buy somehow loses the point. So here is the new resolution: Find ways to reflect the learning if not the reality of life in Africa within my new life in Copenhagen. It’s going to be a fascinating challenge…. Thanks for sharing your insides with us We wish you all the best in Denmark don’t forget to come to Holland one day. Here we enjoy spring days! I am glad you chose Denmark over LA. You’ll be happier there.